Our core values – Positive, Resourceful, Team Players, Reliable, Customer Driven, Honest, Enthusiastic, Change, Innovative, and Proactive – underpin everything we do, our vision for the future, as well as drive a positive and inclusive culture. Working at adform means being part of a team with a passion for our client’s brands that delivers creative solutions on-time, every-time. We embrace a diversity of talent and experience which fuels our innovation and creativity and we encourage people to develop their knowledge and skills, offering mentoring and professional development opportunities aligned to your career aspirations. 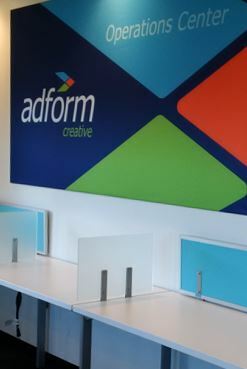 At adform we support open communication and collaboration to achieve outstanding outcomes. We recognize and reward our people for living the adform values, and for embracing innovation. We encourage our team to bring fresh thinking and new ideas to the table that enable us to continually improve our services and set new benchmarks. There are exciting opportunities at adform, and if you’re interested to become part of an inspiring team and you share our core values & vision for creative innovation, you can submit your resume and portfolio to careers@adformgroup.com.